Little girl print on wood makes a great art piece to blend with other items on a table, server or counter to welcome spring. 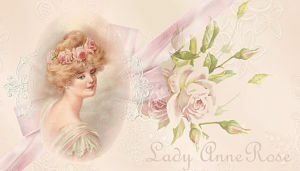 She is wearing a simple cream dress with pink sash. 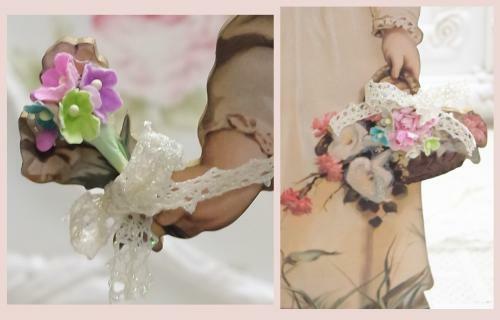 She is holding a bundle of forget-me-nots in her right hand clasped with lace ribbon. 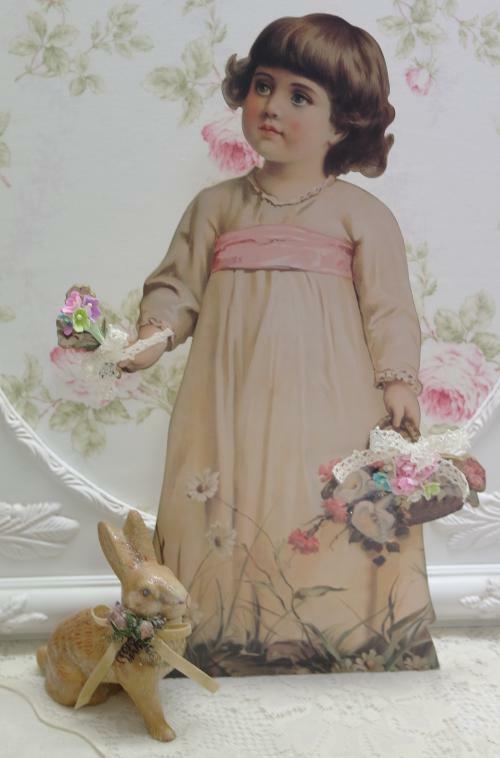 Her left hand holds a basket with roses, forget-me-nots and cala lillies with lace ribbon.